The online version of this article (doi: 10.1007/s13311-015-0387-1) contains supplementary material, which is available to authorized users. Fear and anxiety are adaptive responses essential to coping with threats to survival. Yet excessive or persistent fear may be maladaptive, leading to disability. Symptoms arising from excessive fear and anxiety occur in a number of neuropsychiatric disorders, including generalized anxiety disorder (GAD), panic disorder (PD), post-traumatic stress disorder (PTSD), social anxiety disorder (SAD), and obsessive–compulsive disorder (OCD). Notably, PTSD and OCD are no longer classified as anxiety disorders in the recent revision of the Diagnostic and Statistical Manual of Mental Disorders-5; however, excessive anxiety is central to the symptomatology of both disorders. These anxiety-related disorders are associated with a diminished sense of well-being, elevated rates of unemployment and relationship breakdown, and elevated suicide risk [1, 2, 3]. Together, they have a lifetime prevalence in the USA of 29 % , the highest of any mental disorder, and constitute an immense social and economic burden [5, 6]. Currently available pharmacological treatments include serotonin reuptake inhibitors, serotonin–norepinephrine reuptake inhibitors, benzodiazepines, monoamine oxidase inhibitors, tricyclic antidepressant drugs, and partial 5-hydroxytryptamine (5-HT)1A receptor agonists. Anticonvulsants and atypical antipsychotics are also used to treat PTSD. These medications are associated with limited response rates and residual symptoms, particularly in PTSD, and adverse effects may also limit tolerability and adherence [7, 8, 9, 10]. The substantial burden of anxiety-related disorders and the limitations of current treatments place a high priority on developing novel pharmaceutical treatments. Cannabidiol (CBD) is a phytocannabinoid constituent of Cannabis sativa that lacks the psychoactive effects of ∆9-tetrahydrocannabinol (THC). CBD has broad therapeutic properties across a range of neuropsychiatric disorders, stemming from diverse central nervous system actions [11, 12]. In recent years, CBD has attracted increasing interest as a potential anxiolytic treatment [13, 14, 15]. The purpose of this review is to assess evidence from current preclinical, clinical, and epidemiological studies pertaining to the potential risks and benefits of CBD as a treatment for anxiety disorders. Cannabis sativa, a species of the Cannabis genus of flowering plants, is one of the most frequently used illicit recreational substances in Western culture. The 2 major phyto- cannabinoid constituents with central nervous system activity are THC, responsible for the euphoric and mind-altering effects, and CBD, which lacks these psychoactive effects. Preclinical and clinical studies show CBD possesses a wide range of therapeutic properties, including antipsychotic, analgesic, neuroprotective, anticonvulsant, antiemetic, antioxidant, anti-inflammatory, antiarthritic, and antineoplastic properties (see [11, 12, 16, 17, 18, 19] for reviews). A review of potential side effects in humans found that CBD was well tolerated across a wide dose range, up to 1500 mg/day (orally), with no reported psychomotor slowing, negative mood effects, or vital sign abnormalities noted . The eCB system regulates diverse physiological functions, including caloric energy balance and immune function . The eCB system is also integral to regulation of emotional behavior, being essential to forms of synaptic plasticity that determine learning and response to emotionally salient, particularly highly aversive events [29, 30]. Activation of CB1Rs produces anxiolytic effects in various models of unconditioned fear, relevant to multiple anxiety disorder symptom domains (reviewed in [30, 31, 32, 33]). Regarding conditioned fear, the effect of CB1R activation is complex: CB1R activation may enhance or reduce fear expression, depending on brain locus and the eCB ligand ; however, CB1R activation potently enhances fear extinction , and can prevent fear reconsolidation. Genetic manipulations that impede CB1R activation are anxiogenic , and individuals with eCB system gene polymorphisms that reduce eCB tone—for example, FAAH gene polymorphisms—exhibit physiological, psychological, and neuroimaging features consistent with impaired fear regulation . Reduction of AEA–CB1R signaling in the amygdala mediates the anxiogenic effects of corticotropin-releasing hormone , and CB1R activation is essential to negative feedback of the neuroendocrine stress response, and protects against the adverse effects of chronic stress [38, 39]. Finally, chronic stress impairs eCB signaling in the hippocampus and amygdala, leading to anxiety [40, 41], and people with PTSD show elevated CB1R availability and reduced peripheral AEA, suggestive of reduced eCB tone . Relevant studies in animal models are summarized in chronological order in Table 1. CBD has been studied in a wide range of animal models of general anxiety, including the elevated plus maze (EPM), the Vogel-conflict test (VCT), and the elevated T maze (ETM). See Table 1 for the anxiolytic effect specific to each paradigm. Initial studies of CBD in these models showed conflicting results: high (100 mg/kg) doses were ineffective, while low (10 mg/kg) doses were anxiolytic [59, 60]. When tested over a wide range of doses in further studies, the anxiolytic effects of CBD presented a bell-shaped dose–response curve, with anxiolytic effects observed at moderate but not higher doses [61, 90]. All further studies of acute systemic CBD without prior stress showed anxiolytic effects or no effect [62, 65], the latter study involving intracerebroventricular rather than the intraperitoneal route. No anxiogenic effects of acute systemic CBD dosing in models of general anxiety have yet been reported. As yet, few studies have examined chronic dosing effects of CBD in models of generalized anxiety. Campos et al. showed that in rat, CBD treatment for 21 days attenuated inhibitory avoidance acquisition . Long et al. showed that, in mouse, CBD produced moderate anxiolytic effects in some paradigms, with no effects in others. CBD inhibited escape responses in the ETM and increased DPAG escape electrical threshold , both proposed models of panic attacks . These effects partially depended on 5-HT1AR activation but were not affected by CB1R blockade. CBD was also panicolytic in the predator–prey model, which assesses explosive escape and defensive immobility in response to a boa constrictor snake, also partially via 5-HT1AR activation; however, more consistent with an anxiogenic effect, CBD was also noted to decrease time spent outside the burrow and increase defensive attention (not shown in Table 1) [75, 86] . Finally, CBD, partially via CB1Rs, decreased defensive immobility and explosive escape caused by bicuculline-induced neuronal activation in the superior colliculus . Anticompulsive effects of CBD were investigated in marble-burying behavior, conceptualized to model OCD . Acute systemic CBD reduced marble-burying behavior for up to 7 days, with no attenuation in effect up to high (120 mg/kg) doses, and effect shown to depend on CB1Rs but not 5-HT1ARs [71, 74, 88]. Relevant studies are summarized in Table 2. The anxiolytic effects of CBD in humans were first demonstrated in the context of reversing the anxiogenic effects of THC. CBD reduced THC-induced anxiety when administered simultaneously with this agent, but had no effect on baseline anxiety when administered alone [99, 100]. Further studies using higher doses supported a lack of anxiolytic effects at baseline [101, 107]. By contrast, CBD potently reduces experimentally induced anxiety or fear. CBD reduced anxiety associated with a simulated public speaking test in healthy subjects, and in subjects with SAD, showing a comparable efficacy to ipsapirone (a 5-HT1AR agonist) or diazepam [98, 105]. CBD also reduced the presumed anticipatory anxiety associated with undergoing a single-photon emission computed tomography (SPECT) imaging procedure, in both healthy and SAD subjects [102, 104]. 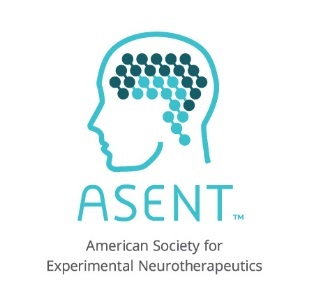 Finally, CBD enhanced extinction of fear memories in healthy volunteers: specifically, inhaled CBD administered prior to or after extinction training in a contextual fear conditioning paradigm led to a trend-level enhancement in the reduction of skin conductance response during reinstatement, and a significant reduction in expectancy (of shock) ratings during reinstatement . Relevant studies are summarized in Table 3. In a SPECT study of resting cerebral blood flow (rCBF) in normal subjects, CBD reduced rCBF in left medial temporal areas, including the amygdala and hippocampus, as well as the hypothalamus and left posterior cingulate gyrus, but increased rCBF in the left parahippocampal gyrus. These rCBF changes were not correlated with anxiolytic effects . In a SPECT study, by the same authors, in patients with SAD, CBD reduced rCBF in overlapping, but distinct, limbic and paralimbic areas; again, with no correlations to anxiolytic effects . ↓ rCBF in the left PHG, HPC and ITG. 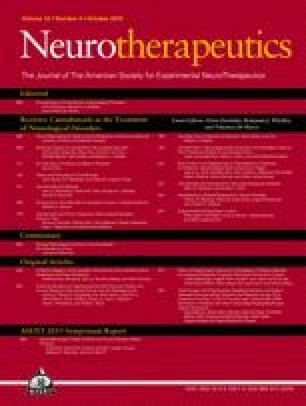 Epidemiological studies of various neuropsychiatric disorders indicate that a higher CBD content in chronically consumed cannabis may protect against adverse effects of THC, including psychotic symptoms, drug cravings, memory loss, and hippocampal gray matter loss [115, 116, 117, 118] (reviewed in ). As THC acutely induces anxiety, this pattern may also be evident for chronic anxiety symptoms. Two studies were identified, including an uncontrolled retrospective study in civilian patients with PTSD patients , and a case study in a patient with severe sexual abuse-related PTSD , which showed that chronic cannabis use significantly reduces PTSD symptoms; however, these studies did not include data on the THC:CBD ratio. Thus, overall, no outcome data are currently available regarding the chronic effects of CBD in the treatment of anxiety symptoms, nor do any data exist regarding the potential protective effects of CBD on anxiety potentially induced by chronic THC use.